After both the Methodist and Baptist churches in Irwinton burned in 1854, congregants came together to form a common house of worship. The result is the wonderful structure you see here, first known as the Irwinton Free Church. Though Sherman’s forces burned the courthouse, the church was somehow spared. Methodists, Baptists, and Presbyterians shared Union well into the 20th century but by 1960, the Presbyterians were gone and the Methodists and Baptists were settled into their own churches. 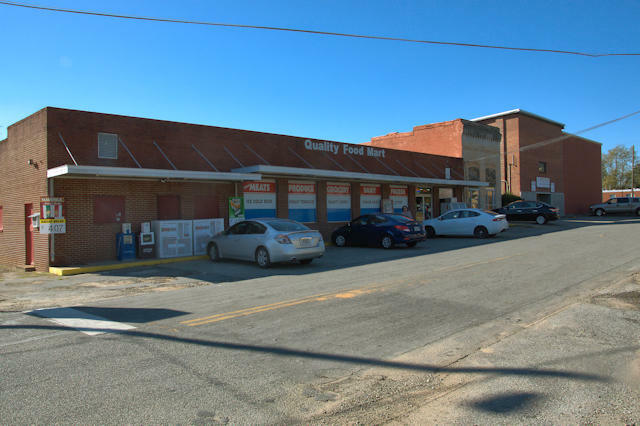 During that decade, Joseph T. Maddox came forward to restore the building and prevent its deterioration. 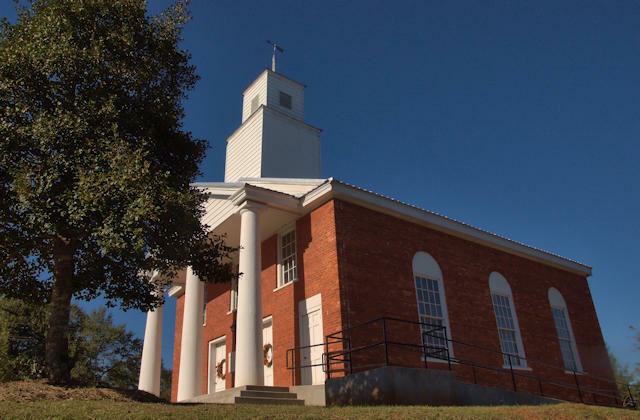 Perched on a hill on the edge of Irwinton, it stands today as an enduring symbol of cooperation and common faith. 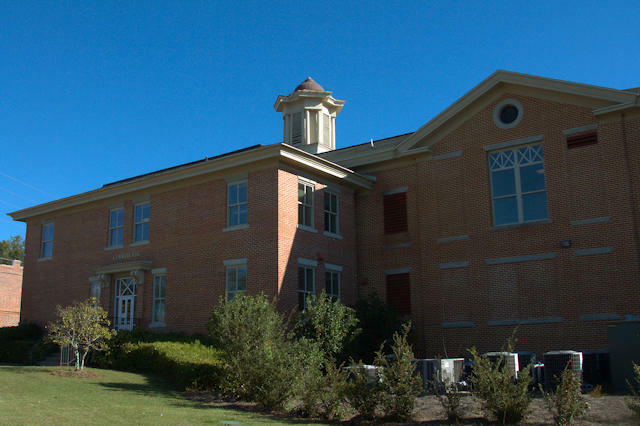 This unusual courthouse has been expanded over the years; it’s very difficult to photograph. This is a side view. 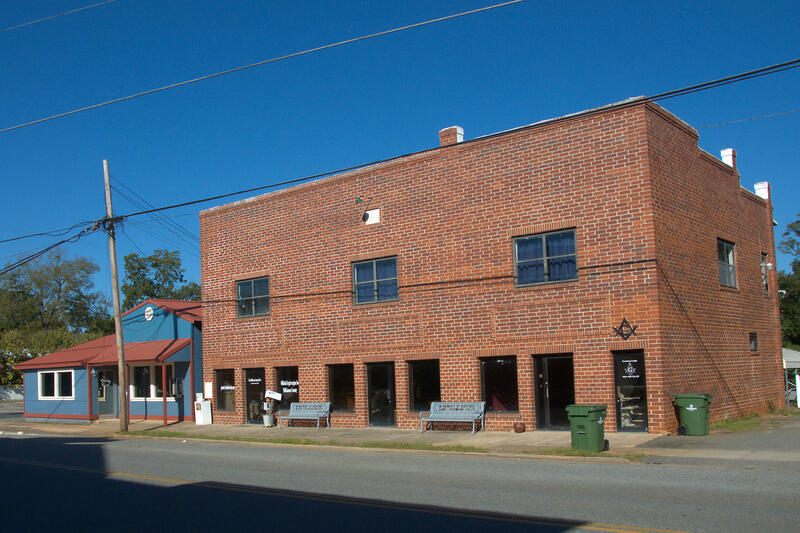 The Masonic Lodge is also home to the Wilkinson County Post. Maebob’s Diner is located to the left of the building.